Okay, so with the big move coming up, we are thinking we actually could use help moving some of this stuff out of here. So how can we help you ask? 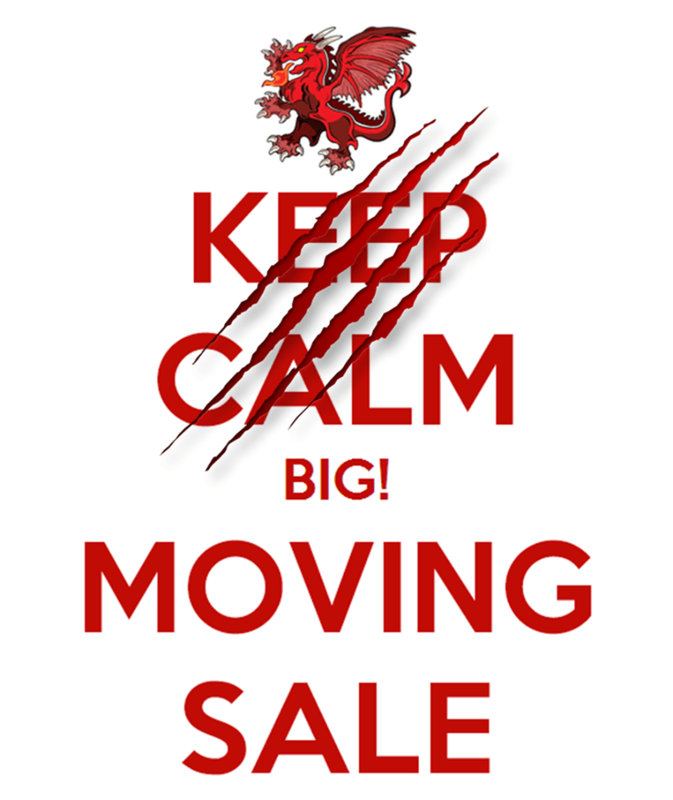 Just come in this Saturday from 1:00 pm – 3:00 pm and buy stuff during our BIG! Moving Sale!!! What better way to help clear this place out? This Saturday, as a BIG! thank you for all your support, from 1:00 pm – 3:00 pm, EVERYTHING* IN THE SHOPPE IS 35% OFF!!! LIKE US ON FACEBOOK & SHARE OUR FB POST AND WE’LL GIVE YOU 40% OFF!!! And yes, this even includes MTG, The Colossal Red Dragon and Salmon Run!!! Just an FYI: Because of the deep discount, Dragon’s Gold cannot be earned or redeemed on sale items. *Excludes: New Releases, Pre-Orders, Singles & Special Orders.